Rowan University provides FocalCool with access to the South Jersey Technology Park, students, faculty members, and the entire Rowan University community. FocalCool lab space is located in the South Jersey Tech Park, located on the Rowan University campus. The facility provides ample resources for product & business development. 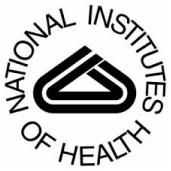 The majority of funding for FocalCool comes from The National Institute of Health SBIR program. FocalCool has received over $2M in SBIR funds to develop our catheter-based cooling technologies. We are sincerely grateful for this support. FocalCool is currently working with Dr. Matthew Gounis and his team at University Massachusetts. Our goal is to demonstrate the potential clinical benefits of combining hypothermia and intracranial thrombectomy. Early work on reperfusion injury during heart attacks was conducted at the University of Pennsylvania with Dr. Robert Gorman's research team. Today, we are working with pancreatic cancer experts developing a new drug delivery system.